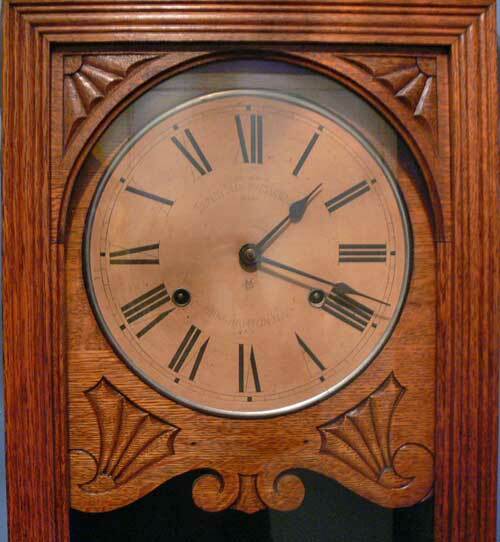 A hall clock in quarter sawn oak with the original dial signed “BUNDY MANUFACTURING CO” and “BINGHAMPTON N.Y.”. Paper dial with BMC logo below the centre arbour. 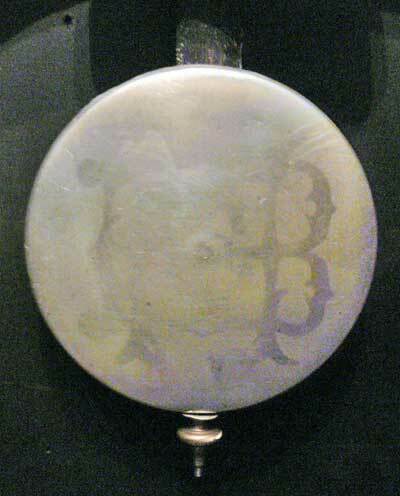 Matching logo on the pendulum bob. Both in Gothic lettering. This was originally a time recorder but converted around 1902 by the International Recording Co. (ITR) by removing the recording mechanism and adding a matching base with cupboard. ITR took over BMC at that time. (ITR became IBM in 1924). This is a double wind, spring driven movement with dead beat escapement manufactured by Seth Thomas for BMC. The clock is in full working order & keeps proper time. Approx. 72” H; x 23 ½” W. at the base x 10 ½” D. at the base. Clock dates C. 1889; lower cabinet from 1902. Cabinet must be picked up here in Oakville. No shipping on this one.